This article was first published on Oxfam’s 3things website on 23 April 2013. It was written for Oxfam’s GROW campaign, which creates awareness of the changes needed to fix the broken food system. Eating seasonally and locally, to reduce the environmental impact of our food production and consumption, is the first of six steps to a better food system. This article is Australian-centric but it translates to our international food habits. 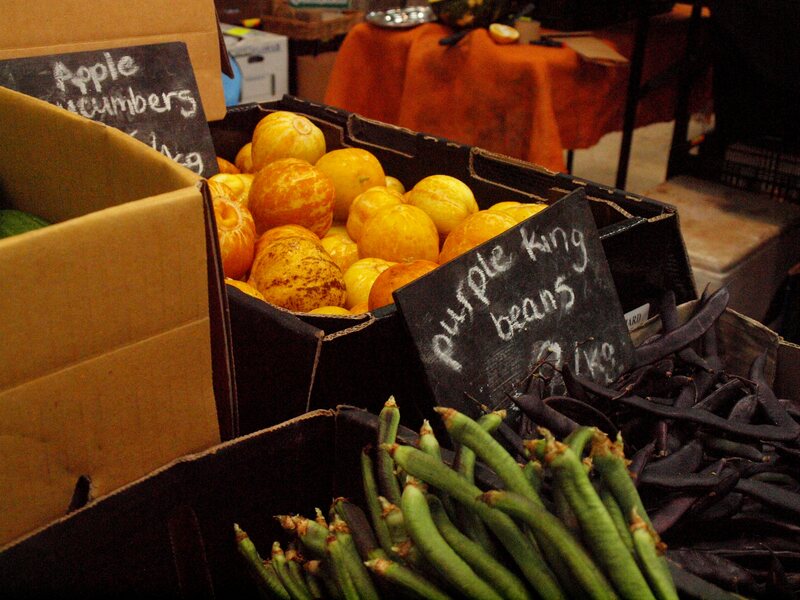 Buying local doesn’t mean getting groceries from the supermarket up the road. Often food travels for miles and days before reaching the shelves and you’d be hard-pressed to find exactly where and how it was produced and by whom, which takes its toll on the environment, the food system and our health. Your head may feel groggy after reading this info and hearing the words ‘climate change’, but let’s keep it fairly simple. There’s one way that we can make a difference and it’s as easy as visiting farmers’ markets for fresh food. 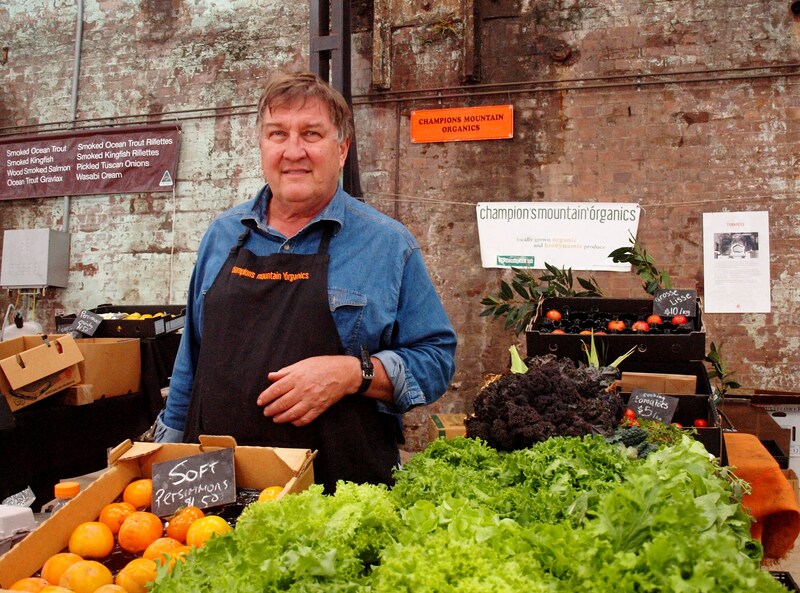 I headed to Eveleigh Farmers’ Market at Carriageworks in Darlington (my favourite so far) to chat with local farmer, Michael Champion, the owner of Champion’s Mountain Organics, an OGA certified biodynamic farm at Mangrove Mountain, one of the closest farms to Sydney. After visiting Michael and hearing about his passion for genuine, organic and ethical farming, I’ve put together the Top 5 reasons to visit farmers’ markets. With population growth and pressures to erect more buildings, farms are being increasingly driven away from our cities, which is a problem for transportation and its environmental impact and feeding many more hungry mouths. “Even in the 60s, you could drive 5km up the road to pick your own strawberries,” Michael says. “And that was in Epping.” Buying overseas takes money out of the farmers’ pockets here and farmers want a piece of the pie too. Michael says that he sometimes brings other farmers’ produce to his market, but it is never farmed over 10km from his own and he takes it in one truck from Mangrove Mountain to Darlington, to “hopefully reduce the environmental impact.” When the oil prices go up, perhaps this will put him in a better position. “What is an apple cucumber? *” is the first question I asked Michael. Not only can you discover where your food comes, who produces it and how, and the method of transportation that has been used to get it to you, but you learn new foods and a little food history along the way, to say the least. It’s not often that you go to the supermarket to have a chat with the farmer to find out when the food was picked and if they have used pesticides. From my experience, I can eat a box of fruit and veg from the supermarket but it will never make me feel as good as what I get from Eveleigh Markets. It’s also all about the community at the farmers’ markets and you’ll not meet happier or friendlier stallholders elsewhere. I love it. (*An apple cucumber is a type of cucumber with a hard, crispy flesh and it gets its name from its resemblance to green apples. Michael says that we had this type of cucumber years before the “green ones”, like the Lebanese cucumber). 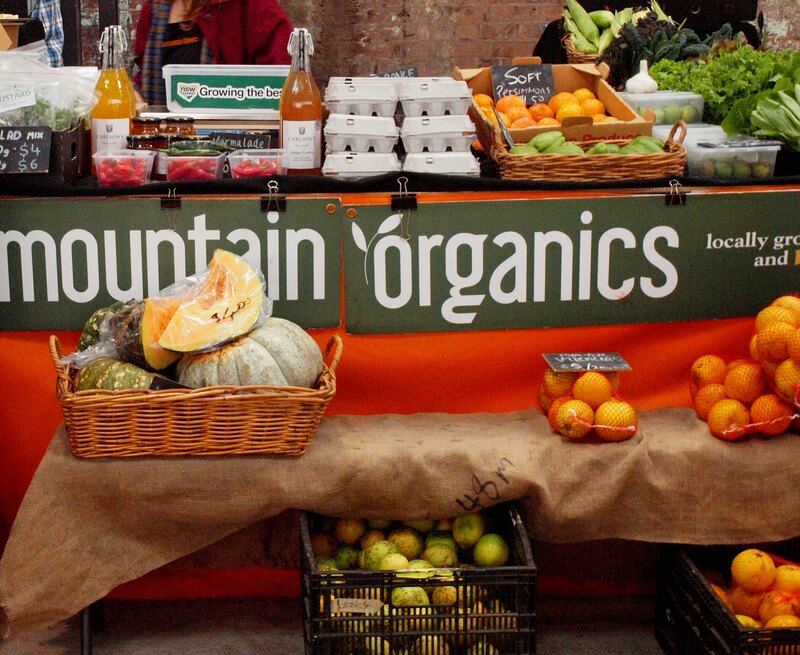 Check out Champion’s Mountain Organics online or at the markets. Eat seasonally, using the Seasonal food guide. Read a quick rundown of ‘biodynamic’ at The Sustainable Table. 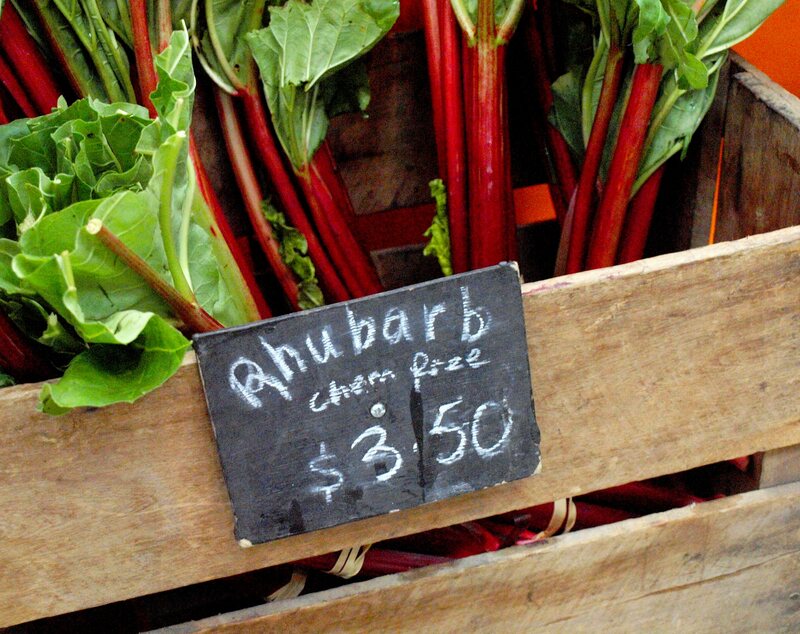 Find your local farmers’ market through the Australian Farmers’ Market Directory. Read Is Local Food Better? and more on Oxfam’s GROW Method. If you’re strapped for time, there’s always Organic Food Delivery, such as: Home Fresh Organics, Organic Angels or Food Connect! What’s your average food shop like? Do you visit any farmers markets? Or do you plan to? Let us know why! Next postWhat did you do on ANZAC Day?